NEW YORK -- On Saturday, October 10th, 2015 WABC-TV will air a special entitled "Breast Cancer: Promising Research and Options" at 7:30PM, EDT. (Also to be re-run Sun. 10/4 at 5:30am). Hosted by Eyewitness News Anchor, Sade Baderinwa, the Special features the progress we're making on many issues of great concern to those who are diagnosed with breast cancer. This year marks WABC's twenty first year of working with the American Cancer Society. Here are resources featured in our show. 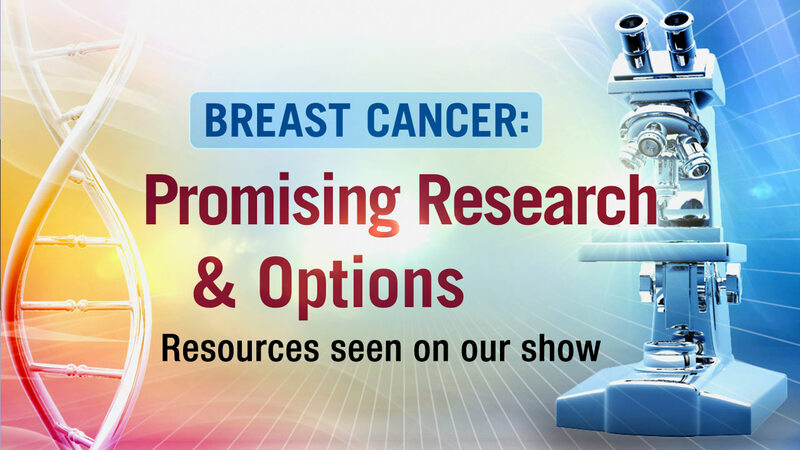 "BREAST CANCER: PROMISING RESEARCH & OPTIONS"
WABC-TV, Saturday, October 10th, 7:30 p.m. -8:00 p.m.